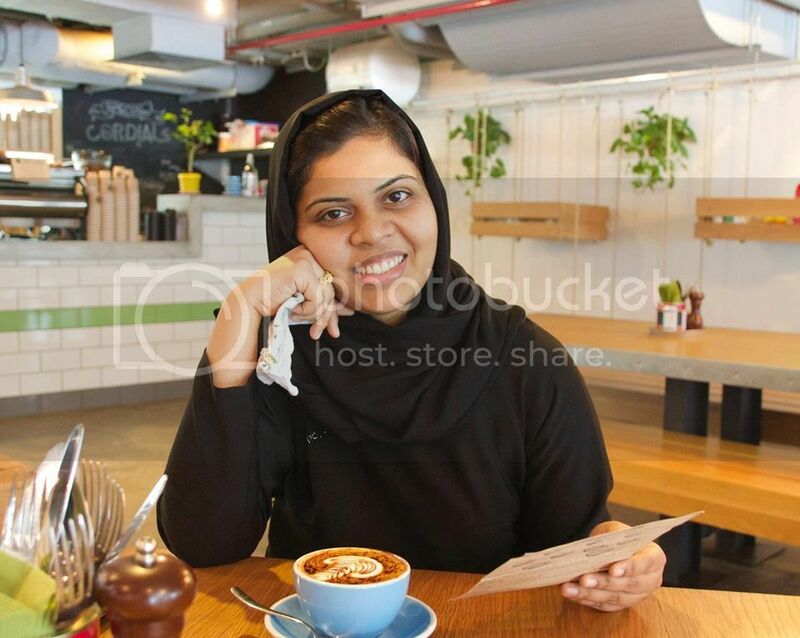 Thank you Neelu for giving me the opportunity to be a guest blogger on your blog. 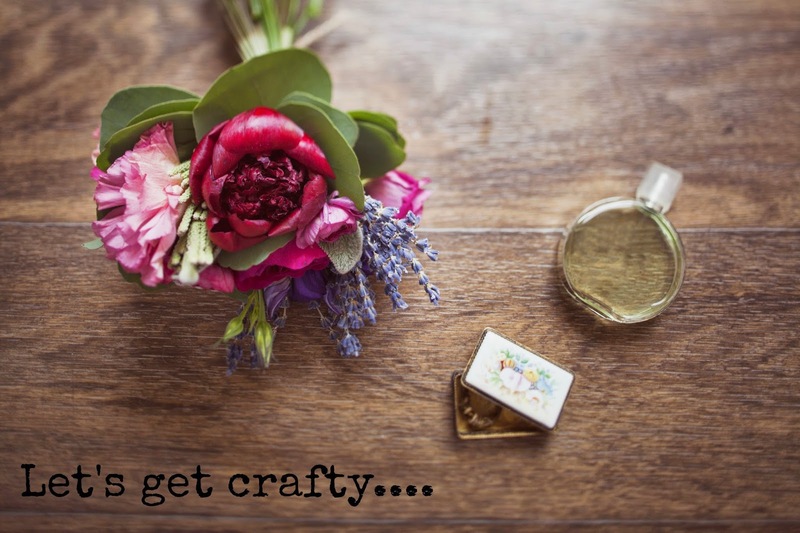 Your blog has always been fun and very inspirational to read so it is a real pleasure to have this opportunity to talk and share a bit about myself and my love for art and craft with your readers. As way of an introduction; hello all, my name is Shruti. I am a new mom and an avid paper craft hoarder! I would have loved to call myself a paper craft-er but the fact of the matter is that these days I am more of a hoarder than a craft-er, thanks to my 'bundle of joy'. 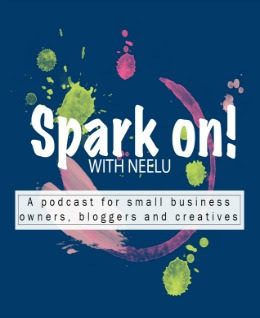 But I definitely have got to thank Pretty Paper Studio (Neelu) for letting me be a part of their design team which keeps my creative juices in check and help me keep in touch with the art. I recently bought a new journal from Paperchase. I decided to go for this simple one as compared to all the beautiful ones they have at their store, as I planned to give my journal a personal touch. I love the pink and white polka dot design on the sides of it. Now getting on to give it a makeover! Here are some of the tools I used for this project. 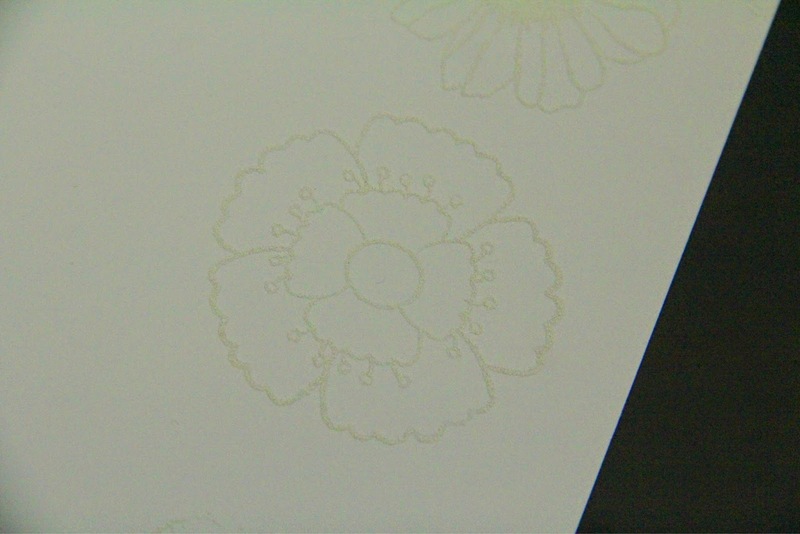 One of my favorite flower stamp, a stamp press, some white embossing powder and embossing ink pad, a white card-stock and some markers. 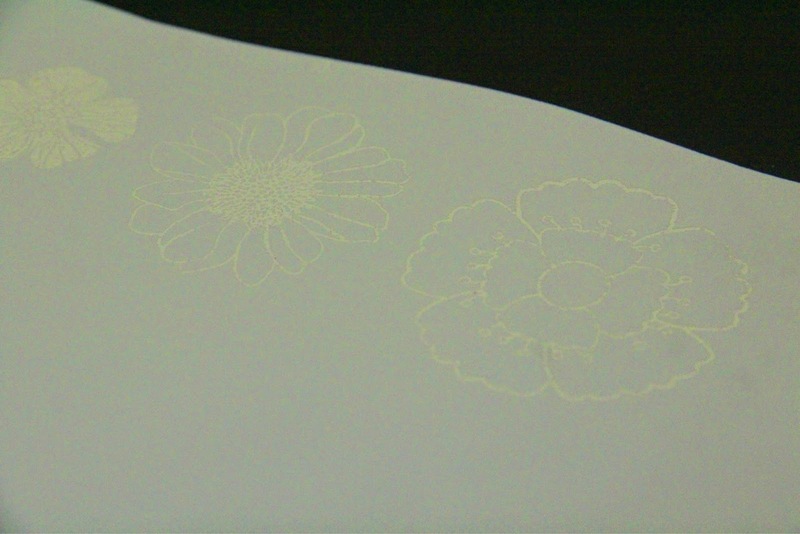 I started off by stamping some flowers on to the white cardstock with versamark. 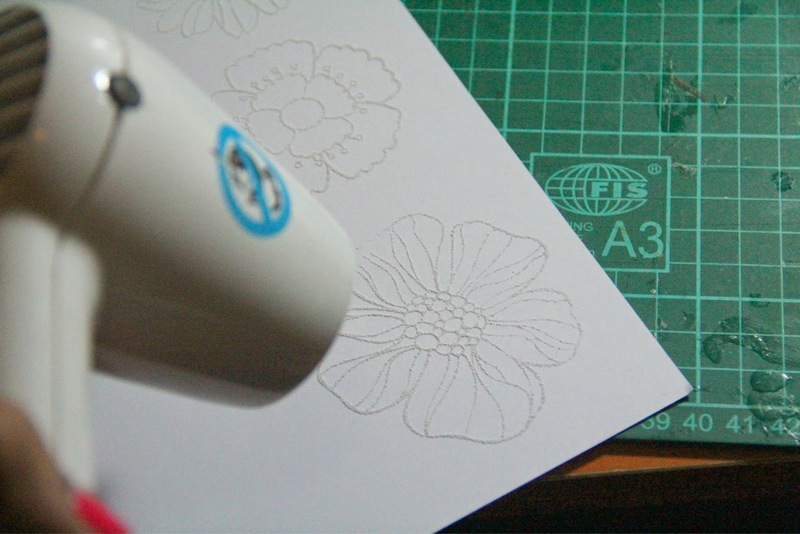 I later poured some white embossing powder on to it so that they stick to the flower image. I used my heat gun to help melt the embossing powder. This is how it ends up looking. I know, it looks dull at the moment, but wait till the next step! Now the fun part. 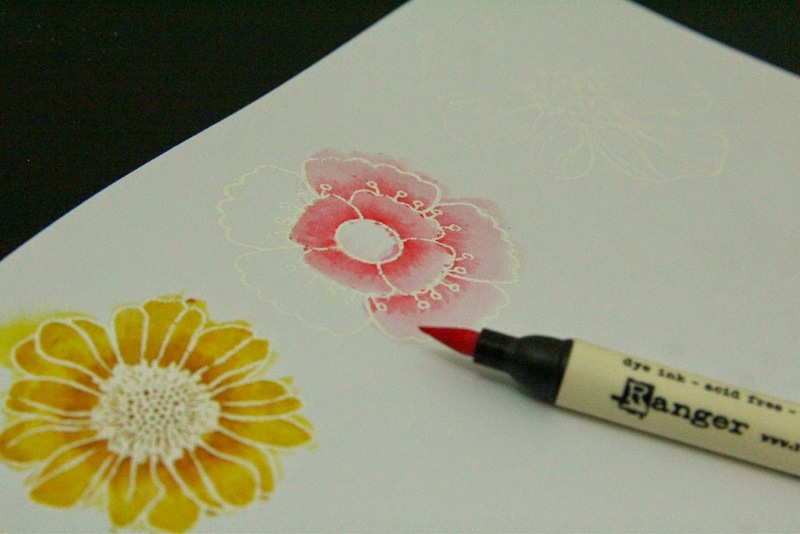 Color up your flowers using some markers. I decided to give it a bit of a gradient effect. 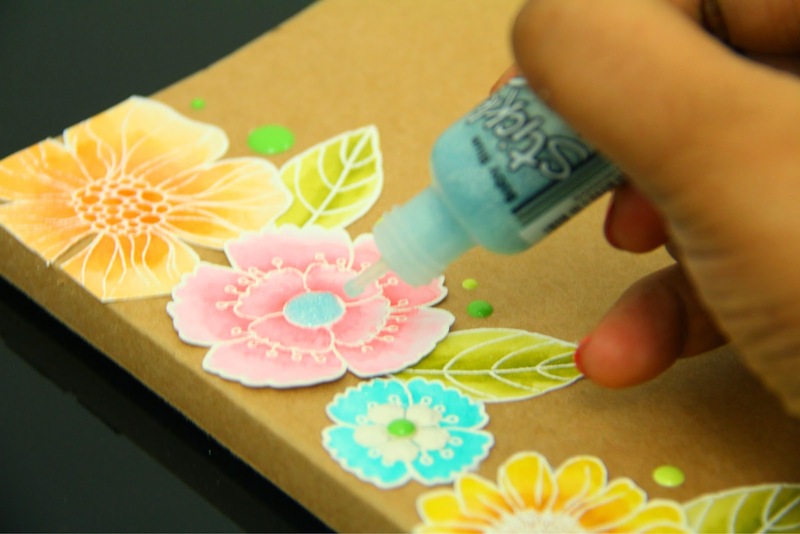 You can also use water colors. 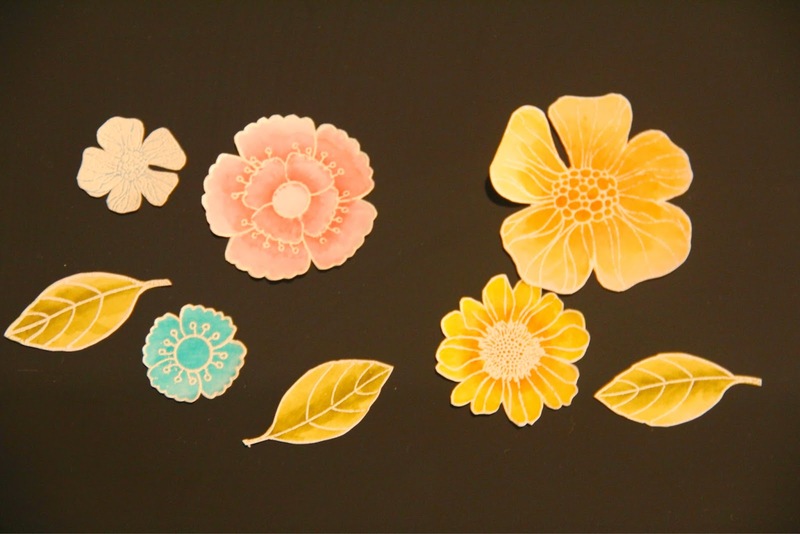 Once colored, cut them out. (The bad lighting does not do justice to the beautiful colors). Randomly arrange them and stick them on to your journal. I also added some embellishments to finish it off. Here I have used some enamel dots and stickles. I also added some glitter alphas and voila! We are done!! Here is the finished look. 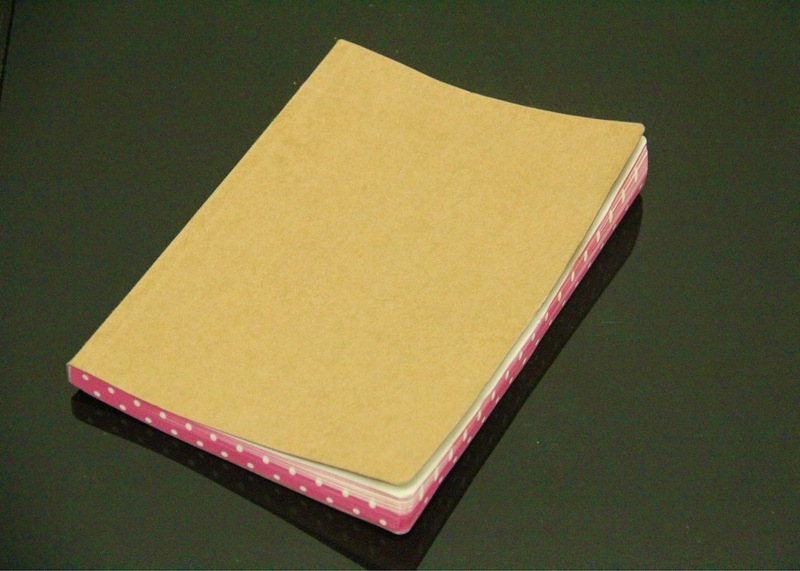 I hope you enjoyed this little tutorial on making my journal from drab to fabulous! 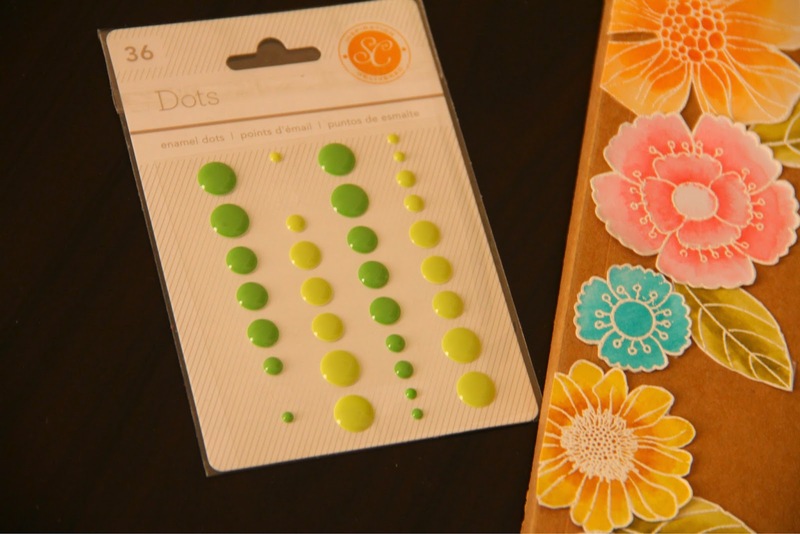 Thank you Shruti for this wonderful tutorial! Your journal definitely looks fabulous now. 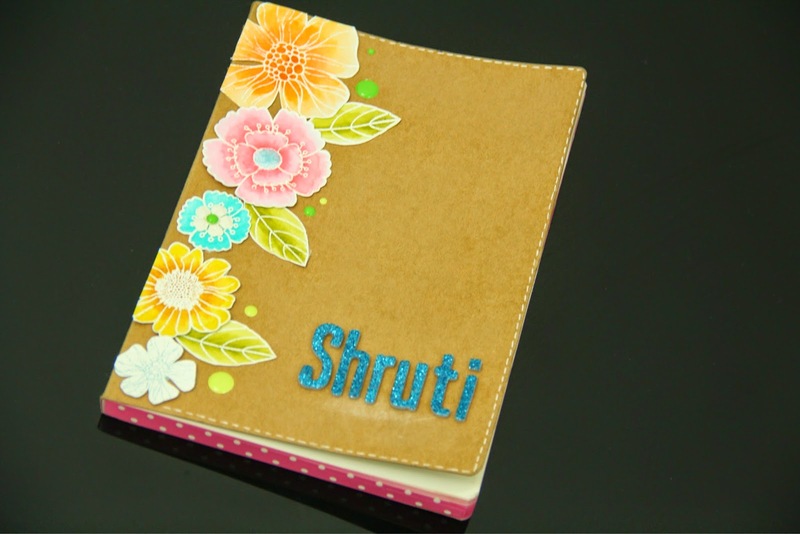 You can find more of Shruti's work on her Blog, Facebook, Instagram or Pinterest. 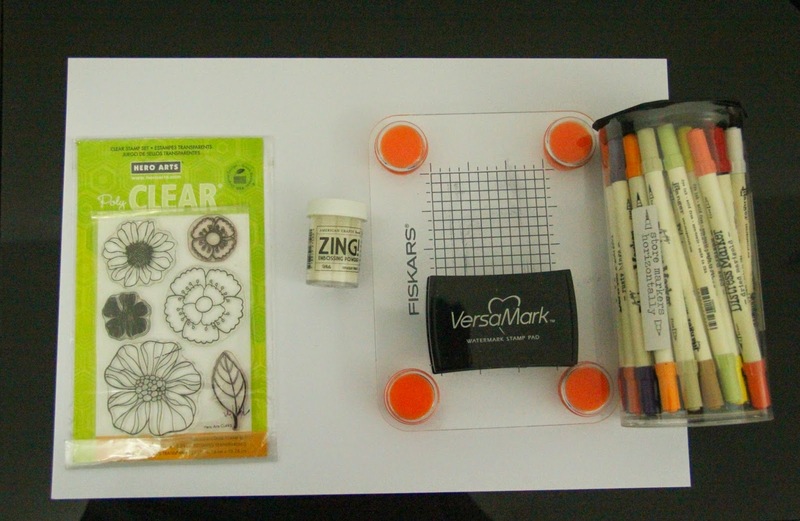 Most of these supplies can be found in my store as well. You can read rest of the series here. Beautiful up cycling of the journal Shruti ...your work always has a touch of elegance to it and I so love your color choices :) absolutely love this ! !